Albert Zrimsek was born in Lawrence, Pennsylvania on 22 February 1917, the third child for Anton and Elizabeth Zrimsek. He grew up surrounded by brothers and sisters in Peters Township, Pennsylvania, completed eight years of formal schooling, and went to work as a laborer to help support the family. Albert Zrimsek’s draft card, 1940. His employer, Frank Neaville, was a prominent real estate developer who in 1940 was laying out the Trotwood Hills neighborhood in Upper St. Clair, PA.
Zrimsek joined the Navy in May of 1942, and was selected for Hospital Corps school. He had only recently completed his coursework when he received orders to join the USS Anne Arundel (AP-76); HA2c Zrimsek was, in fact, a “plank owner” aboard the transport, arriving for duty on 17 September 1942 – the day the ship was commissioned. Events unfolded quickly: within a few days, the Anne Arundel completed her shakedown trials, took on a cargo of war materiel and Army troops, and shipped out for North Africa as part of Operation Torch. Zrimsek’s first glimpse of a foreign shore was the storied port of Casablanca, where the Anne Arundel unloaded for a few days in November before returning to the States. Although the journey was brief and largely uneventful, Zrimsek comported himself well enough to be advanced in rating to Hospital Apprentice, First Class. With a little salt in his step, Zrimsek reported for his next duty station at the Naval Operating Base in Norfolk, Virginia. He was assigned to the Fleet Marine Force, and on 27 February 1943 became a corpsman with the First Separate Battalion (Reinforced) which was then preparing to ship out for California. While training with his new unit, he received a promotion to Pharmacist’s Mate, Third Class. Zrimsek spent most of his time attending to the needs of Marines in Company A. Although not of Polish descent, he evidently picked up the nickname “Doc Ski” and carried a no-nonsense reputation. (1) His stubbornness was tested on 1 February 1944, during the combat landing on Namur in the Marshall Islands, when an exploding blockhouse showered his Higgins boat with chunks of concrete. One piece struck PFC Edward Horan, denting his helmet and causing a small cut above his eyebrows. The wound was little more than a scratch, and Horan was getting ready to charge down the ramp when collared by Doc Ski. “You can’t go in,” the corpsman announced. The two Pennsylvanians launched into an arm-waving argument that reminded those present of an angry driver arguing with a traffic cop. Meanwhile, the boat hit the beach and the ramp went down – and the argument continued. Fascinated by the surreal scene, the rest of the Marines in the boat meekly waited for the confrontation to end. Zrimsek prevailed and led the way down the ramp, while a grumbling PFC Horan was taken back to the USS DuPage for treatment. Doc Ski earned a promotion to PhM2c in April 1944, but his time with the battalion was coming to an end. On 26 April, he transferred to Naval Hospital #10 at Aiea Heights, Hawaii – whether as a patient or a member of staff is not clear – and returned to the continental United States on 3 June. He was discharged from the Naval Convalescent Hospital, Yosemite, CA on 23 January 1945. Zrimsek returned to Pennsylvania and settled in Floreffe, not far from his family in Venetia. He married Margaret Feevey on 21 April 1945, and the couple had two children. For the next several years, Zrimsek worked as a millwright for U. S. Steel. However, he was plagued by poor health, and in 1962 succumbed to colon cancer at the Pittsburgh VA Hospital. He was only 45 years old. The Daily Republican (Monongahela, PA) of 15 August 1962. Albert Zrimsek is buried in Finleyville Cemetery, Washington County, PA.
(1) The “Doc Ski” nickname was reported by A/1/24 veteran George Smith, who insisted that Zrimsek was the owner of the sobriquet. Reasons for the nickname are not known. 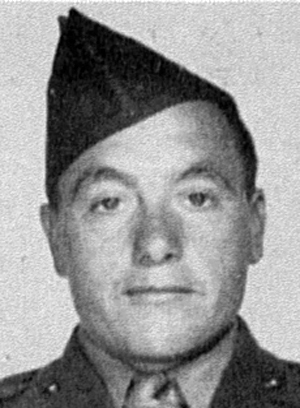 One possible explanation is that Zrimsek had a bit of an accent; his parents spoke their native Slovenian at home, and the young Marines may have simply assumed that Zrimsek had a “Polish” inflection. “Ski” was a common nickname for anyone of Polish extraction; several 1/24 Marines shared this nickname, and many were from coal country Pennsylvania.